Many myths and legends attribute magical powers to the moon. And, I think that you would have to agree that, the sight of the beautiful luminous moon in our sky at night is indeed “magical”. Also, for thousands of years and throughout many cultures and nations, the moon has been linked to fertility, reproduction and growth. Consequently, the planting of seeds and harvesting of crops were carried out at the phase of the moon considered most favourable for these activities. Today, it is well known and accepted that the moon influences the ebb and flow of the ocean. Whilst, modern research has proved that the various phases of the moon do in fact affect the germination and growth process of seeds and plants. Yet, in our modern world we have become increasingly disconnected from the natural cycles of the sun, moon and seasons. As well as with our body’s own natural cyclic rhythms and interrelationship with these greater planetary cycles. Ancient cultures throughout the world have recognized and honoured this relationship. The lunar cycle in particular was observed to have a strong association with a women’s menstrual cycle. The moon transits through four phases; new, waxing, waning and dark, which takes 29.5 days. The normal menstrual cycle is between 28-30 days, with 29.5 days being the average. So, naturally our female ancestors used the moon as a tool to keep track of their menstrual cycle. Additionally, agricultural societies observed that women would ovulate around the full moon and bleed with the dark moon. 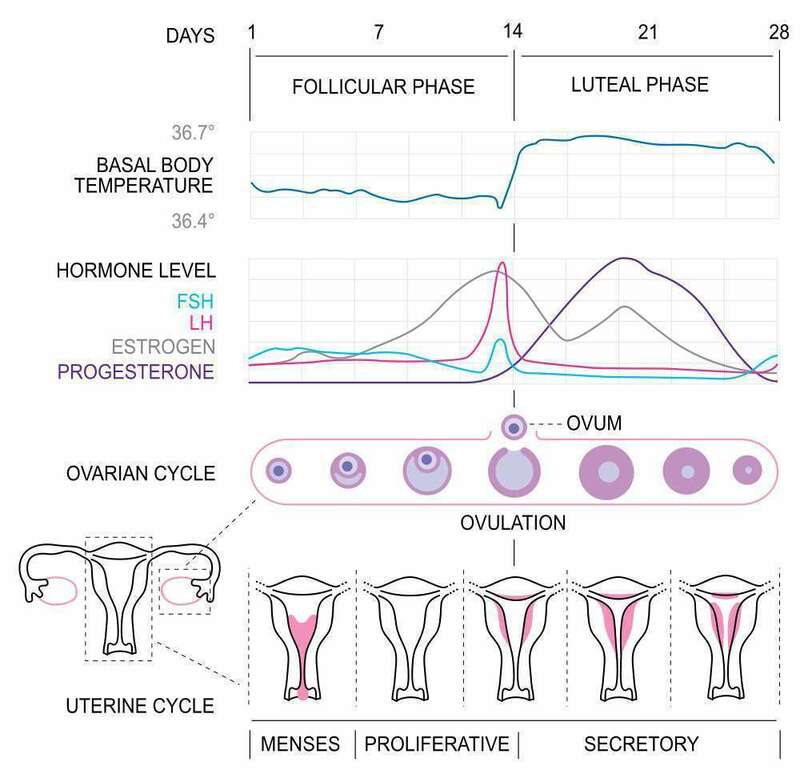 Interestingly, research has shown that women who have cycles that are around the 29 plus 1 day in length; have the highest likelihood of fertile cycles [“Human Biology”, 1987, Vol:59, No: 6]. During the 4th century, with the rise of Christianity and the demise of paganism, the Roman solar calendar was instated. In this system, the length of each month ranges between 28-31 days. So, perhaps operating and organizing our lives purely on the solar calendar has contributed to the lack of awareness and acknowledgment women have today for the changing phases of their monthly menstrual cycle. By this, I mean the ebb and flow of your emotions and the rise and fall of your energies due to the hormonal shifts and changes that take place throughout the month. We push on following a schedule, rather than organize our activities around our natural cyclic peaks and lows. Another phenomena, is the “lunar peak” which was rediscovered in the 1950’s by Dr Eugene Jonas, a psychiatrist. Many of his patients were catholic women who utilized the rhythm method for contraceptive purposes. The normal success rate for the rhythm method was between 30-85%. Dr Jonas also had an interest in astrology and came across the statement, “women is fertile during a certain phase of the moon”, in an ancient Babylon astrology text. So, how does the moon affect your hormones? Well, from a scientific perspective, no-one is really sure. The corresponding changes in light, electromagnetic energy and gravity, that occur during the lunar cycle, have all been considered. Nevertheless, if the gravitational pull of the moon can move the vast body of water in our oceans; it surely must effect our own body fluids. 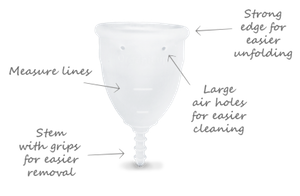 Menstruation after all, is a “fluid event”. We also, know that the pineal gland [in the centre of the brain] produces and releases the hormone melatonin. Melatonin affects our circadian rhythms and therefore our reproductive and sleep-wake cycles. The production and secretion of melatonin is influenced by light exposure to the eyes. For instance, blind women tend to have shorter menstrual cycles and often have disrupted sleep cycles. Sheeps that naturally, only breed once a year, can be induced to breed twice a year, when given melatonin injections. Melatonin is low during day light hours and increases in response to darkness. Since the advent of electricity and the light bulb, we live in perpetual summertime in terms of our hours of light exposure. It has been proposed that this is one of the reasons for puberty occurring earlier than it used to. In Europe in the 1830’s the average age for menarche [first period] was 17 years. In the U.S in 2002, it was around 12 years old. The increased incidence of childhood obesity along with the prevalence of oestrogen mimicking synthetic chemicals in the environment, will also have influenced this. Prior, to the electric light bulb, we slept with the moon and rose with the sun. Our circadian rhythms were synchronized with the sun, moon and seasons and no doubt as a result our hormones were more balanced too. Begin by making a habit of going outside and looking at the moon each night. This will help to reinforce your connection with the moon. Develop an awareness of what phase the moon is in , when you ovulate and when you bleed. This can help to regulate your cycle to a 29 day cycle. Most women will find that they either bleed around the full moon or the new moon. Moon diaries and moon charts for the southern hemisphere are available from http://www.moondiary.com.au. These are a great tool to help you observe the pattern of your cycle in relation to that of the moon. When you look at the moon and it’s shape, bring that awareness into your body. Observe and acknowledge how you feel at that particular phase of the moon and your cycle. If you are currently going through the menopause transition and your cycles are irregular and unpredictable. You may find, that by using the moon charts to chart your periods; you are able to see a pattern amongst the irregularity and apparent chaos.